We manufacture Various types of white boards likewhite ceramic marker board, white magnetic marker board and White marker board, under the brand name of NATIONAL. This writing boards are offered in different qualities and surfaces based on customer preference. type1 Range is made of non-magnetic writing surface, other range is resin coated surface with magnetic properties will accept magnets. Third range comes with imported Ceramic on steel surface also with antiglare technology suitable for projection screening. These white boards are framed with heavy anodised aluminium channels and chrome plated corners. Apart From White Boards , we have extended range of Green & Black Boards & Pin up or Notice Boards , Notice Board With Window , White Board Accessories like stands etc. 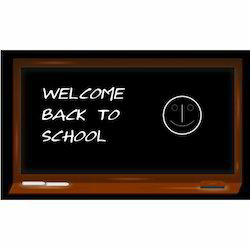 Board Size 60" x 48"
Large classrooms get the maximum advantage out of Black Boards. 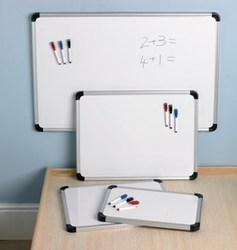 They come with a smooth finish and dry erase surface that is easy to clean. One of the advantages of the board is that it is sturdy and does not need regular maintenance. They come with aluminum frame for enhanced strength. We ensure that the product comes with a perfect finish. We manufacture the best quality chalk writing boards like green chalk writing boards, ceramic writing boards,Magnetic chalk writing boards and many more. We at National Industries, take utmost care in manufacturing the best chalk boards taking the above facts into consideration. We bring the world-class technology into your class room. 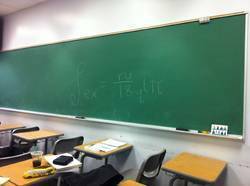 Teaching experience gets a modern look with the help of White Boards. They are light weight and easy to write. They come with melamine dry erase surface that helps to clean up perfectly after every write-up. The board has the necessary friction gradient to make writing easy. It comes with an ionized aluminum frame that is sturdy and scratch resistant. We check our products to bring the best quality forward.